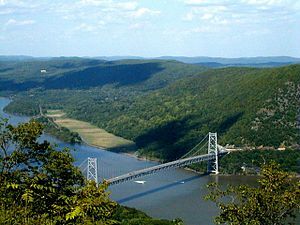 The Hudson River is a 315-mile (507 km) wattercourse that flows frae north tae sooth primarily through eastren New York State in the Unitit States. ↑ Hudson River freshwater discharge at New York, NY. 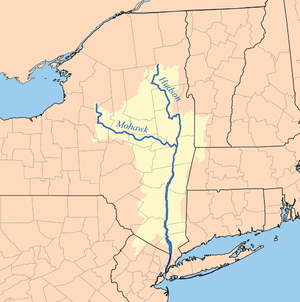 Ny.water.usgs.gov (2010-10-15). Retrieved on 2013-08-09. This page wis last eeditit on 3 Mairch 2018, at 23:38.